Opatija has always been in the center of Croatia’s rich gastronomic scene, a place for a unique and unforgettable pleasure of dining and some of the best Croatian restaurants can be found in Opatija. Restaurants vary from the ones that have preserved longtime tradition to the ones who successfully combine it with new trends in gastronomy. Why is Opatija a popular destination for dining? Diversity has always been one of the main advantages of restaurants in Opatija. It is one of the reasons why Opatija’s restaurants regularly win top positions in many different lists of best restaurants in Croatia. From the forgotten scents and flavors of nature up to modern refined delicacies. Rich offer of seafood combined with delicacies from the hinterland make a trip to the Riviera irresistible to even the most sophisticated taste-buds. Explore the century old tradition through imaginative cuisine of some of the best Croatian chefs. Taste various local specialties in the main restaurant of one of Opatija’s top five-star hotels – Remisens Premium Hotel Ambasador. Let the chef Miljenko Kosanović surprise you with his show cooking. Pleasant atmosphere, culinary delicacies and excellent vines guarantee that every meal is a special experience. Those who love a varied gastronomic offer will enjoy local and international delicacies in the Remisens Premium Hotel Ambasador summer garden restaurant “Hortenzija”. With a spacious open terrace near the outdoor swimming pool and a beautiful view of the sea, the “Hortenzija” is a perfect place to enjoy a meal. 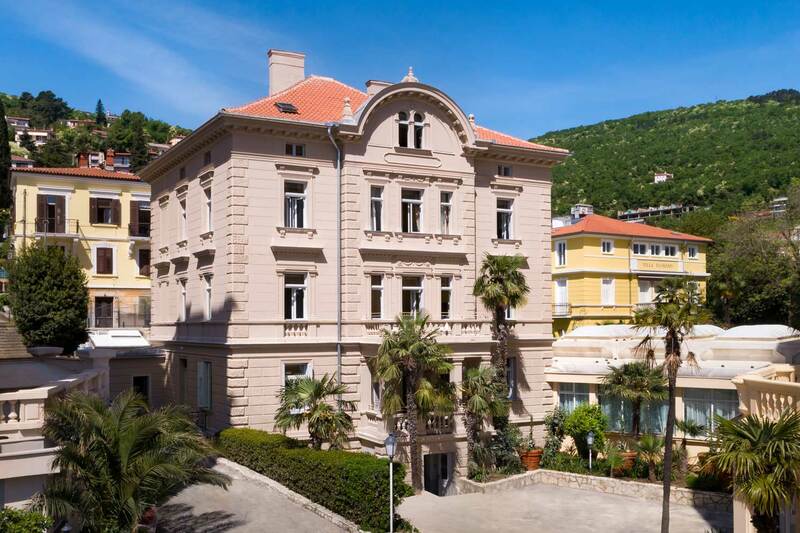 The D Terrace restaurant is located right by the sea on the famous terrace of the Remisens Premium Hotel Kvarner. Taste creative seafood or meat combinations prepared with healthy local ingredients and have a glass of superb still or sparkling wine. Savour the symbols of culinary luxury, oysters or Kvarner scampi, from the fantastic Raw Bar. Plavi podrum (eng. Blue Cellar) is one of the oldest restaurants in Opatija Riviera. For almost 100 years this restaurant preserves tradition of authentic food and gastronomical customs of this maritime area, so their menu includes a number of re-interpreted specific dishes. Danijela Kramarić, restaurant´s manager, is a two-time sommelier (wine steward) champion of Croatia and champion of Eastern and Middle Europe. Restaurant has been listed as one of the 100 best restaurants in the world in 2008 and 2010. Before you start your tour of restaurants in Opatija, there are a couple of things you should know. All the fish and shellfish come from the clean Adriatic sea, the fruits and vegetables from untained soil, and the game has grown up breathing fresh mountain air. This is healthy food you will be eating here, full of taste and prepared with passion by experienced professionals. No matter where you decide to sit at the dining table you are always welcomed as a dear guest in Opatija! Bon appetite!